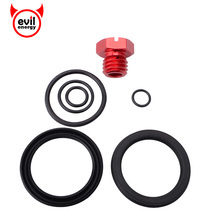 FUEL FILTER BASE AND HAND PRIMER SEAL KIT FOR:2001 - 2010 GM 6.6 L DURAMAX ALLIANT POWER # AP0029 This Fuel Filter Base and Hand Primer Seal Kit fits the following vehicles:YEAR RANGE APPLICATION: 2001-2010 6.6 L Duramax All Alliant Parts are covered by a 13 month unlimited mileage warranty!Diamond Diesel Service is and Turbocharger Service is an Authorized Alliant Power Dealer. EFFICIENT & ECONOMIC: If you're tired of buying expensive factory fuel filters that only offer 60% filtration GMC Duramax CAT Filter Adapter is exactly what you need to get the job done. 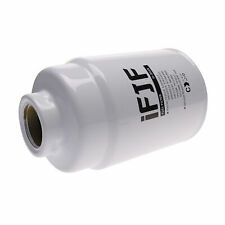 Our 2 Micron CAT Fuel Filter Adapter provides superior filtration (up to 90%) and is more affordable helping prolong your engine's lifespan..
FOR 2001-2010 CHEVY/GMC Duramax: This Fuel CAT Filter Adapter is specifically designed to provide a simple and more efficient replacement for fuel filters on all GMC Duramax & CHEVY models from 2001-2010..
QUALITY THAT MATTERS: At Sinister Diesel, we believe that offering our customers exceptional products is the key to success which is why we only use high-quality Billet Aluminum that has been CNC Precision Machined for its design to offer unmatched durability and effectiveness for long lasting use..
EVERYTHING YOU NEED: Making Our CAT Fuel Filter Adapter replacement kit comes with everything you need for a quick and safe replacement for your OEM Fuel filter kit which includes 1 x Sinister Diesel CAT Fuel Filter Adapter, 1 x Stand Off Space with hardware, and 1 x 2 Micron CAT Fuel Filter along with the necessary bolts and nuts..
SINISTER WARRANTY: We're confident in the quality and efficiency of our CAT Filter Adapter for 2001-2010 GMC Duramax & CHEVY which is why we stand by the quality of our products. We want you to buy our CAT Filter Adapter GMC Duramax 2001-2010 with confidence which is why we offer a Sinister Lifetime Warranty so that you know you're making a risk-free investment..